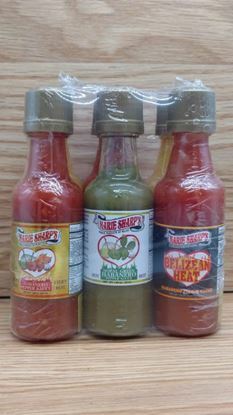 Mild, Smokin Marie , Fiery Hot, Green, Belizean Heat and Beware! 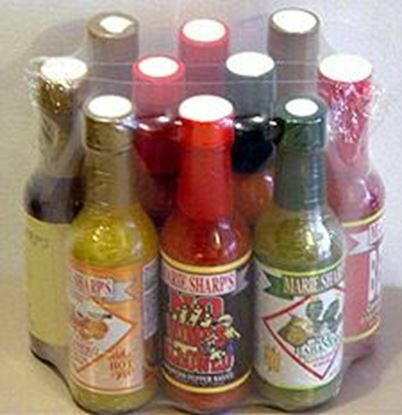 With 6 of Marie Sharp’s most popular sauces in the 1.69 oz plastic bottle. 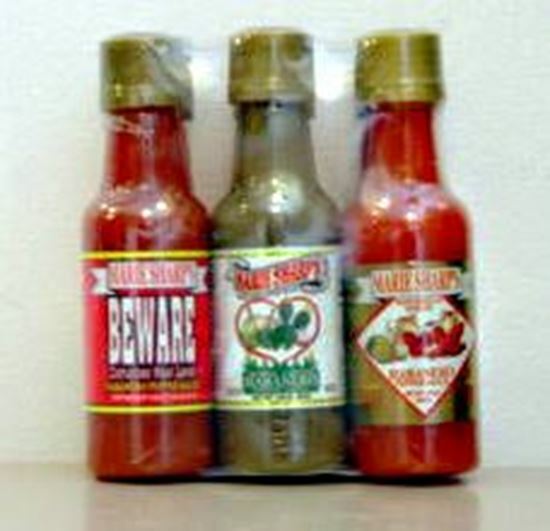 Marie Sharp's Sampler Pack! OUT OF STOCK! 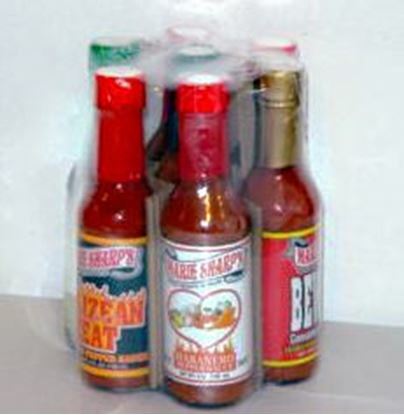 7 bottles of 5 oz Marie Sharp’s red sauces. OUT OF STOCK!